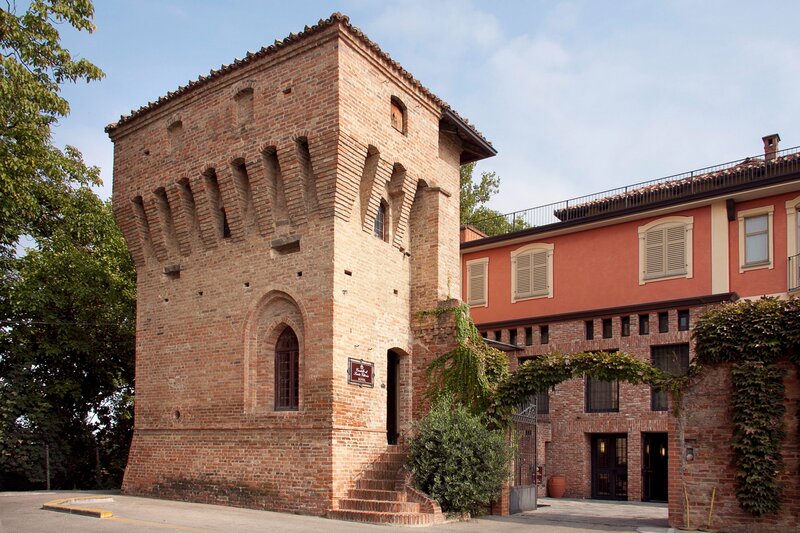 Located in the heart of Roero, just a few minutes away from the gentle Langhe hills, the hotel has 33 standard rooms, 4 junior suites, and 1 family/suite. 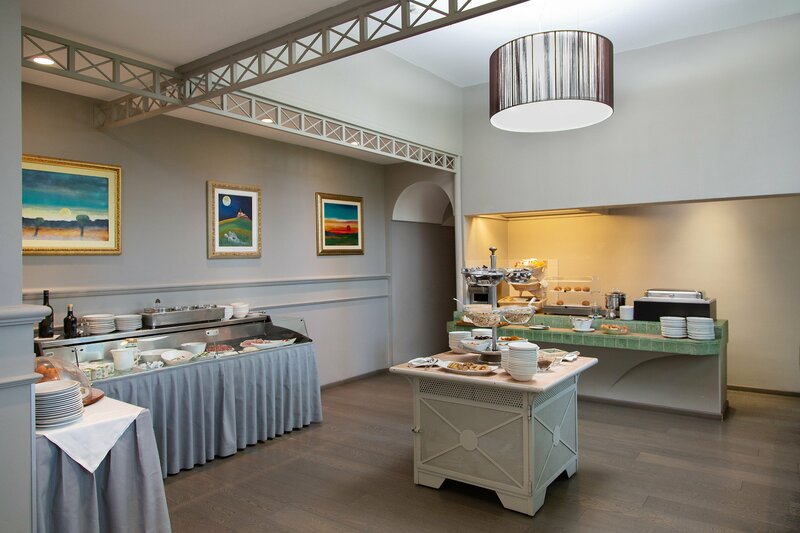 In the morning, there will be a sumptuous buffet awaiting you, with coffee, croissants, small pastries, charcuterie, local cheeses, cereal, fruit juice, fruit salads and fresh fruit, eggs, yogurt, and a vast selection of gluten free options. 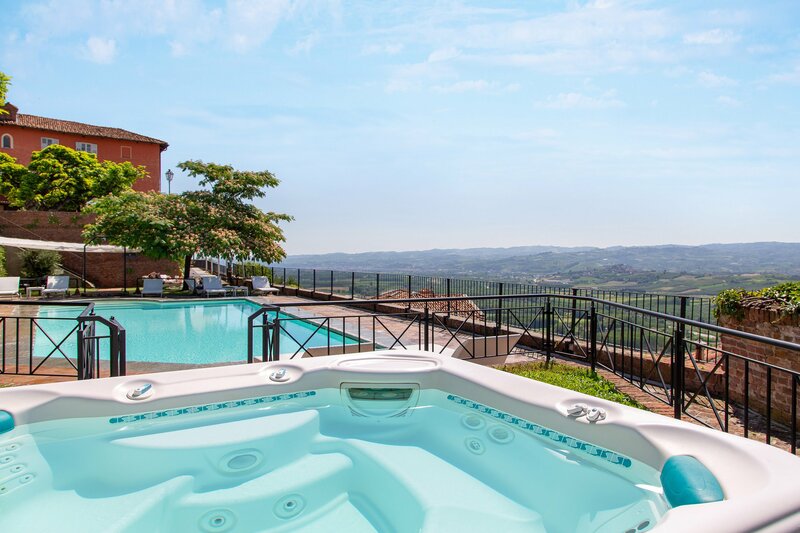 Romantic and comfortable, ideal for a pleasant stay in the heart of Roero, with a decore that finds the right balance between traditional and modern. 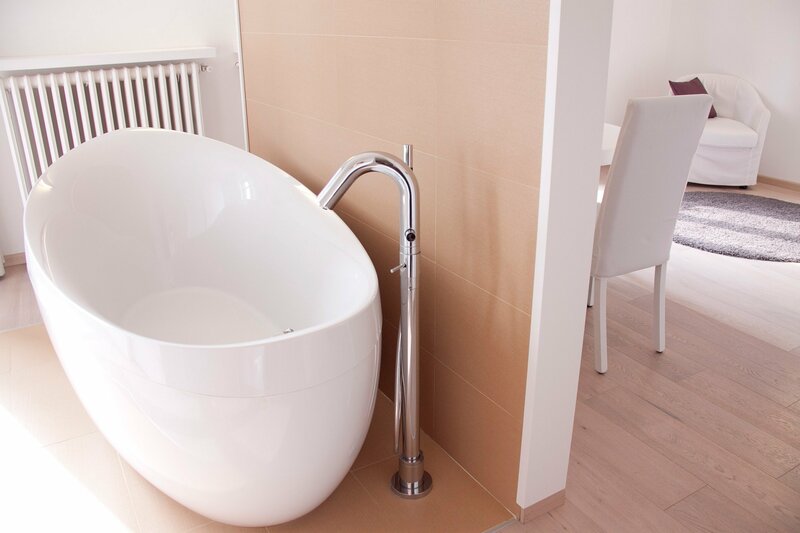 Single rooms and double rooms (with one or two beds). 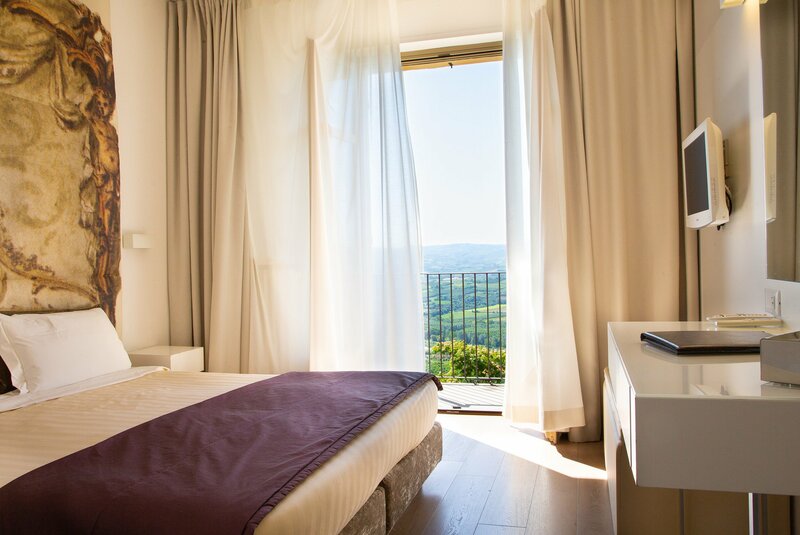 A few of the rooms have a balcony with a view of the gentle hills of Langhe and Roero.